The weekend of July 12-13, our chef has created a special menu for Saturday July 12- Sunday July 13, and Monday July 14. Our chef, Rick Vargas, trained at Le Pot au Feu in Paris, receiving his CAP from the French Government. To join the celebration, please call soon to reserve your table. 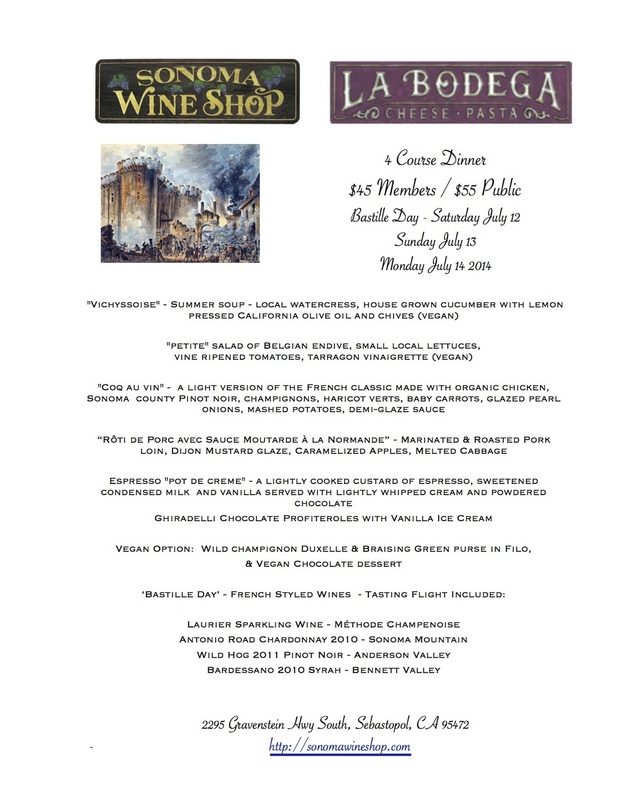 Only $45 for members includes great wine tasting flight by Bryan Cooper. Call 827-1832 to reserve your table.